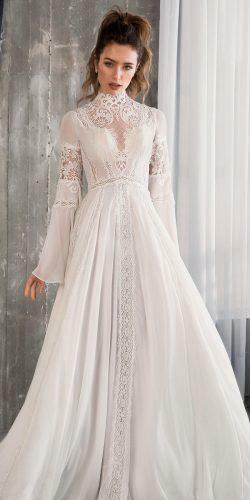 Riki Dalal wedding dresses 2019 offer unique and glamorous looks for modern brides, who want to be amazing at the big day. You will find classic silhouettes and a dazzling combination of spectacular laces, tulles, and fabrics embellishments. All bridal gowns from “Glamour” collection 2019 are made from soft materials, delicate lace to create a magic atmosphere surround. Every detail, every line look perfect and ideal. Do you think so? Look at this charming bridal collection 2019 and find most beautiful wedding dresses by Riki Dalal. Happy pinning!